Fifty Cent O.D. 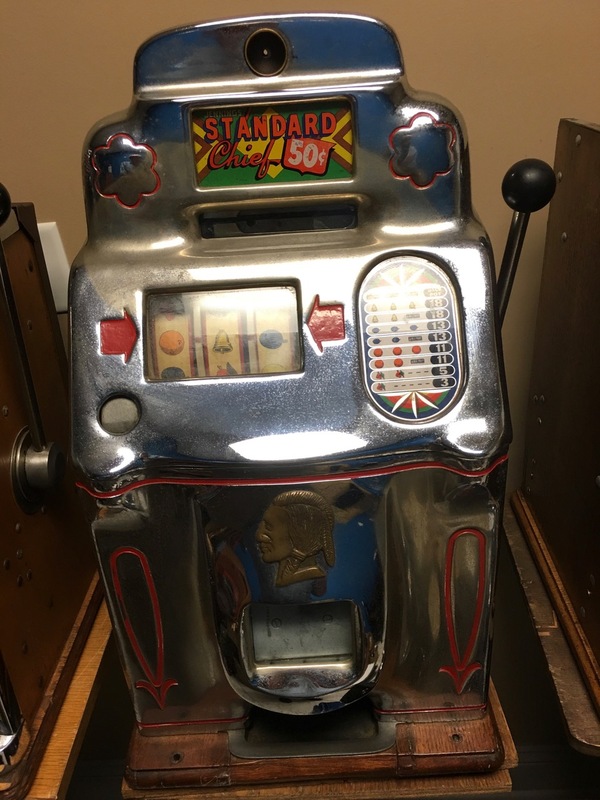 Jennings 3-Reel Slot Machine in Good Working Condition. The chrome and oak wood cabinet is in solid condition. The chrome plating is good with some a brassy shine on upper casting. Has all of its original parts and original Jennings instructions. No peeling but minor pitting in some areas. This machine still looks and plays great. Retains its original Jennings decal, paper reel strips, award card, marquee, all in good condition. Has the original back door and original cash box. Check out both sides of this beautiful oak case. Comes with lock and key. 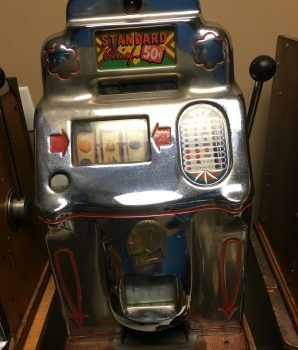 A very desirable fifty cent machine for your collection. Call for additional information.